There’s been a resurgent role for service-oriented architecture (SOA) as a practical and relevant ingredient for effective design and use of Cloud, mobile, and big data technologies. 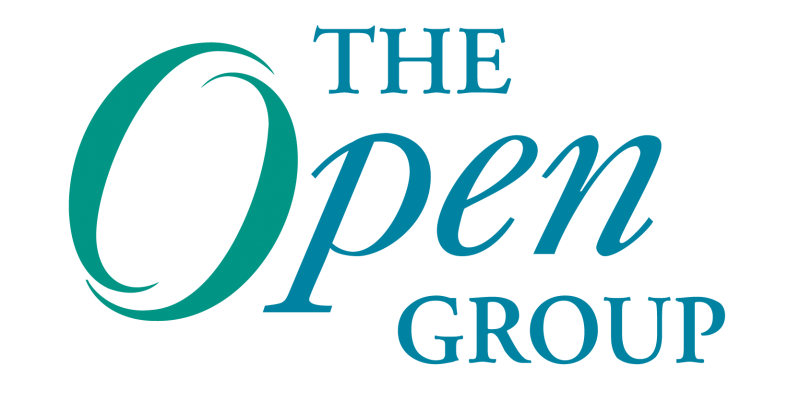 To find out why, The Open Group recently gathered an international panel of experts to explore the concept of “architecture is destiny,” especially when it comes to hybrid services delivery and management. The panel shows how SOA is proving instrumental in allowing the needed advancements over highly distributed services and data, when it comes to scale, heterogeneity support, and governance. The panel consists of Chris Harding, Director of Interoperability at The Open Group, based in the UK; Nikhil Kumar, President of Applied Technology Solutions and Co-Chair of the SOA Reference Architecture Projects within The Open Group, and he’s based in Michigan, and Mats Gejnevall, Enterprise Architect at Capgemini and Co-Chair of The Open Group SOA Work Group, and he’s based in Sweden. The discussion is moderated by Dana Gardner, Principal Analyst at Interarbor Solutions. The full podcast can be found here. Harding: My role in The Open Group is to support the work of our members on SOA, Cloud computing, and other topics. We formed the SOA Work Group back in 2005, when SOA was a real emerging hot topic, and we set up a number of activities and projects. They’re all completed. In fact, we’ve started two new projects and we’re about to start a third one. So, it’s very clear that there is still an interest, and indeed a renewed interest, in SOA from the IT community within The Open Group. Gardner: Nikhil, do you believe that this has to do with some of the larger trends we’re seeing in the field, like Cloud Software as a Service (SaaS)? What’s driving this renewal? The third thing that’s driving it is legacy modernization. A lot of organizations are now a lot more comfortable with SOA concepts. I see it in a number of our customers. I’ve just been running a large Enterprise Architecture initiative in a Fortune 500 customer. At each stage, and at almost every point in that, they’re now comfortable. They feel that SOA can provide the ability to rationalize multiple platforms. They’re restructuring organizational structures, delivery organizations, as well as targeting their goals around a service-based platform capability. So legacy modernization is a back-to-the-future kind of thing that has come back and is getting adoption. The way it’s being implemented is using RESTful services, as well as SOAP services, which is different from traditional SOA, say from the last version, which was mostly SOAP-driven. Gardner: Mats, do you think that what’s happened is that the marketplace and the requirements have changed and that’s made SOA more relevant? Or has SOA changed to better fit the market? Or perhaps some combination? Gejnevall: I think that the Cloud is really a service delivery platform. Companies discover that to be able to use the Cloud services, the SaaS things, they need to look at SOA as their internal development way of doing things as well. They understand they need to do the architecture internally, and if they’re going to use lots of external Cloud services, you might as well use SOA to do that. Gardner: Let’s drill down on the requirements around the Cloud and some of the key components of SOA. We’re certainly seeing, as you mentioned, the need for cross support for legacy, Cloud types of services, and using a variety of protocol, transports, and integration types. We already heard about REST for lightweight approaches and, of course, there will still be the need for object brokering and some of the more traditional enterprise integration approaches. This really does sound like the job for an Enterprise Service Bus (ESB). So let’s go around the panel and look at this notion of an ESB. Some people, a few years back, didn’t think it was necessary or a requirement for SOA, but it certainly sounds like it’s the right type of functionality for the job. Harding: I believe so, but maybe we ought to consider that in the Cloud context, you’re not just talking about within a single enterprise. You’re talking about a much more loosely coupled, distributed environment, and the ESB concept needs to take account of that in the Cloud context. Kumar: In the context of a Cloud we really see SOA and the concept of service contracts coming to the fore. In that scenario, ESBs play a role as a broker within the enterprise. When we talk about the interaction across Cloud-service providers and Cloud consumers, what we’re seeing is that the service provider has his own concept of an ESB within its own internal context. If you want your Cloud services to be really reusable, the concept of the ESB then becomes more for the routing and the mediation of those services, once they’re provided to the consumer. There’s a kind of separation of concerns between the concept of a traditional ESB and a Cloud ESB, if you want to call it that. The Cloud context involves more of the need to be able to support, enforce, and apply governance concepts and audit concepts, the capabilities to ensure that the interaction meets quality of service guarantees. That’s a little different from the concept that drove traditional ESBs. That’s why you’re seeing API management platforms like Layer 7, Mashery, or Apigee and other kind of product lines. They’re also coming into the picture, driven by the need to be able to support the way Cloud providers are provisioning their services. As Chris put it, you’re looking beyond the enterprise. Who owns it? That’s where the role of the ESB is different from the traditional concept. The platforms that are evolving are starting to provide this out of the box. The service consumer or a service provider needs to be able to support those. That’s going to become the role of their ESB in the future, to be able to consume a service, to be able to assert this quality-of-service guarantee, and manage constraints or data-in-flight and data-at-rest. In the past, the suppliers or the consultants told you that you could do it. You couldn’t really try it out yourself. You needed both the software and the hardware in place. The money to get started is much lower today. That’s another reason people might be thinking about it these days. Gardner: It sounds as if there’s a new type of on-ramp to SOA values, and the componentry that supports SOA is now being delivered as a service. On top of that, you’re also able to consume it in a pay-as-you-go manner. Harding: That’s a very good point, but there are two contradictory trends we are seeing here. One is the kind of trend that Mats is describing, where the technology you need to handle a complex stack is becoming readily available in the Cloud. Kumar: I’d like to make a comment on that. The approach for the on-ramp is really one of the key differentiators of the Cloud, because you have the agility and the lack of capital investment (CAPEX) required to test things out. But as we are evolving with Cloud platforms, I’m also seeing with a lot of Platform-as-a-Service (PaaS) vendor scenarios that they’re trying the ESB in the stack itself. They’re providing it in their Cloud fabric. A couple of large players have already done that. Gejnevall: Another interesting thing is that they could get a whole environment that’s pre-integrated. Usually, when you buy these things from a vendor, a lot of times they don’t fit together that well. Now, there’s an effort to make them work together. Gardner: The Cloud model may be evolving toward an all-inclusive offering. But SOA, by its definition, advances interoperability, to plug and play across existing, current, and future sets of service possibilities. Are we talking about SOA being an important element of keeping Clouds dynamic and flexible — even open? Kumar: We can think about the OSI 7 Layer Model. We’re evolving in terms of complexity, right? So from an interoperability perspective, we may talk SOAP or REST, for example, but the interaction with AWS, Salesforce, SmartCloud, or Azure would involve using APIs that each of these platforms provide for interaction. So you could have an AMI, which is an image on the Amazon Web Services environment, for example, and that could support a lab stack or an open source stack. How you interact with it, how you monitor it, how you cluster it, all of those aspects now start factoring in specific APIs, and so that’s the lock-in. From an architect’s perspective, I look at it as we need to support proper separation of concerns, and that’s part of [The Open Group] SOA Reference Architecture. That’s what we tried to do, to be able to support implementation architectures that support that separation of concerns. There’s another factor that we need to understand from the context of the Cloud, especially for mid-to-large sized organizations, and that is that the Cloud service providers, especially the large ones — Amazon, Microsoft, IBM — encapsulate infrastructure. If you were to go to Amazon, Microsoft, or IBM and use their IaaS networking capabilities, you’d have one of the largest WAN networks in the world, and you wouldn’t have to pay a dime to establish that infrastructure. Not in terms of the cost of the infrastructure, not in terms of the capabilities required, nothing. So that’s an advantage that the Cloud is bringing, which I think is going to be very compelling. The other thing is that, from an SOA context, you’re now able to look at it and say, “Well, I’m dealing with the Cloud, and what all these providers are doing is make it seamless, whether you’re dealing with the Cloud or on-premise.” That’s an important concept. Now, each of these providers and different aspects of their stacks are at significantly different levels of maturity. Many of these providers may find that their stacks do not interoperate with themselves either, within their own stacks, just because they’re using different run times, different implementations, etc. That’s another factor to take in. From an SOA perspective, the Cloud has become very compelling, because I’m dealing, let’s say, with a Salesforce.com and I want to use that same service within the enterprise, let’s say, an insurance capability for Microsoft Dynamics or for SugarCRM. If that capability is exposed to one source of truth in the enterprise, you’ve now reduced the complexity and have the ability to adopt different Cloud platforms. What we are going to start seeing is that the Cloud is going to shift from being just one à-la-carte solution for everybody. It’s going to become something similar to what we used to deal with in the enterprise context. You had multiple applications, which you service-enabled to reduce complexity and provide one service-based capability, instead of an application-centered approach. You’re now going to move the context to the Cloud, to your multiple Cloud solutions, and maybe many implementations in a nontrivial environment for the same business capability, but they are now exposed to services in the enterprise SOA. You could have Salesforce. You could have Amazon. You could have an IBM implementation. And you could pick and choose the source of truth and share it. Kumar: We’re seeing that with a lot of our customers, typically the vendors who support PaaS solution associate app store models along with their platform as a mechanism to gain market share. The issue that you run into with that is, it’s okay if it’s on your cellphone or on your iPad, your tablet PC, or whatever, but once you start having managed apps, for example Salesforce, or if you have applications which are being deployed on an Azure or on a SmartCloud context, you have high risk scenario. You don’t know how well architected that application is. It’s just like going and buying an enterprise application. When you deploy it in the Cloud, you really need to understand the Cloud PaaS platform for that particular platform to understand the implications in terms of dependencies and cross-dependencies across apps that you have installed. They have real practical implications in terms of maintainability and performance. We’ve seen that with at least two platforms in the last six months. Governance becomes extremely important. Because of the low CAPEX implications to the business, the business is very comfortable with going and buying these applications and saying, “We can install X, Y, or Z and it will cost us two months and a few million dollars and we are all set.” Or maybe it’s a few hundred thousand dollars. They don’t realize the implications in terms of interoperability, performance, and standard architectural quality attributes that can occur. There is a governance aspect from the context of the Cloud provisioning of these applications. In terms of the context of app stores, they’re almost like SaaS with a particular platform in mind. They provide the buyer with certain commitments from the platform manager or the platform provider, such as security. When you buy an app from Apple, there is at least a reputational expectation of security from the vendor. What you do not always know is if that security is really being provided. There’s a risk there for organizations who are exposing mission-critical data to that. The second thing is there is still very much a place for the classic SOA registries and repositories in the Cloud. Only the place is for a different purpose. Those registries and repositories are used either by service providers or by consumers to maintain the list of services they’re using internally. There are two different paradigms. The app store is a place where I can go and I know that the gas I am going to get is 85 percent ethanol, versus I also have to maintain some basic set of goods at home to make that I have my dinner on time. These are different kind of roles and different kind of purposes they’re serving. Above all, I think the thing that’s going to become more and more important in the context of the Cloud is that the functionality will be provided by the Cloud platform or the app you buy, but the governance will be a major IT responsibility, right from the time of picking the app, to the time of delivering it, to the time of monitoring it. Gardner: How is The Open Group allowing architects to better exercise SOA principles, as they’re grappling with some of these issues around governance, hybrid services delivery and management, and the use and demand in their organizations to start consuming more Cloud services? For example, the SOA Reference Architecture helps the architect understand what components might be brought into the solution. We have the SOA TOGAF Practical Guide, which helps the architect understand how to use TOGAF® in the SOA context. We’re working further on artifacts in the Cloud space, the Cloud Computing Reference Architecture, a notational language for enabling people to describe Cloud ecosystems on recommendations for Cloud interoperability and portability. We’re also working on recommendations for Cloud governance to complement the recommendations for SOA governance, the SOA Governance Framework Standards that we have already produced, and a number of other artifacts. We’re also producing an update to the SOA Reference Architectures. We have input the SOA Reference Architecture for consideration by the ISO Group that is looking at an International Standard Reference Architecture for SOA and also to the IEEE Group that is looking at an IEEE Standard Reference Architecture. We’re also thinking of setting up an SOA project to look specifically at assistance to architects building SOA into enterprise solutions. Those are the things The Open Group has in place at present to assist the architect, and we are and will be working on three new things: version 2 of the Reference Architecture for SOA, SOA for business technology, and I believe shortly we’ll start on assistance to architects in developing SOA solutions.